Hi! I'm a Triceratops. Do you like my large impressive horns? I use these to fight bigger dinosaurs and protect my territory! I'm a herbivore and use my strong jaws and teeth to chew and chop through stems and branches. It takes a lot of chewing to fill my stomach!! Do you like the bony frill jutting out of my neck? It makes me look dashing, doesn't it? 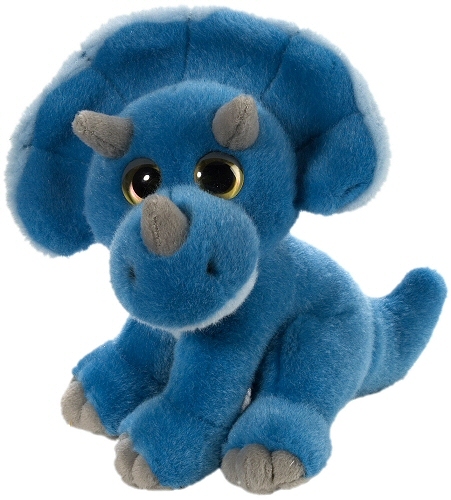 A portion of the proceeds from the sale of this Wild Watchers Triceratops dinosaur stuffed animal help support foundations for disadvantaged children and abandoned animals.